Howard Roark is an independent and unique architect. He’s the subject of this film, penned by none other than Ayn Rand, who also wrote the famed novel of the same name. King Vidor directs this wonderful celluloid adaptation, originally released in 1949. Gary Cooper stars as Roark. He is a man completely unwilling to compromise his vision or individuality in his work, despite being warned many times that his stubborn ways will lead to his ultimate failure in the field of architecture. He is warned by his first employer that compromise is the only way to make it in the business, but still Howard remains steadfast. Roark encounters a slew of characters who try to change him, including newspaper owner Gail Wynand (Raymond Massey) and architecture columnist Dominique (Patricia Neal). Howard is forced to contend with these pressures and additional legal pressures, all the while staying true to himself. The Fountainhead is a film that doesn’t waste any time before jumping right into the drama. 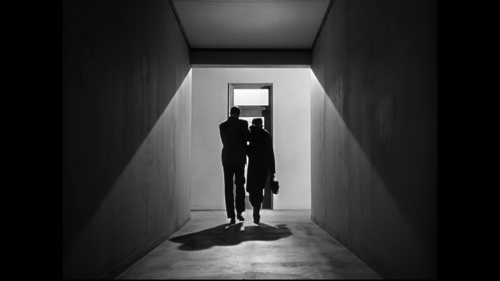 It immediately grabs the viewer by diving head-first into the world of architecture, Roark’s world, and setting up the conflicts that will continue to plague him throughout the film. Though the plot is based on the field of architecture, it also provides a wider commentary on compromising your beliefs in any sphere of your life, much like the novel. Originality and holding true to your values remain just as important here as many readers have interpreted them to be in Rand’s novel. Even for those who aren’t interested in or dislike the novel, this film boasts visual appeal and great performances. A number of interesting angles and shadows are used in the film. It’s beautiful to look at. While Patricia Neal’s expressions can be a bit over-exaggerated, in general her performance in the role of Dominique is very good. Gary Cooper is the true star here, playing Howard every bit as stern and determined as you’d expect. 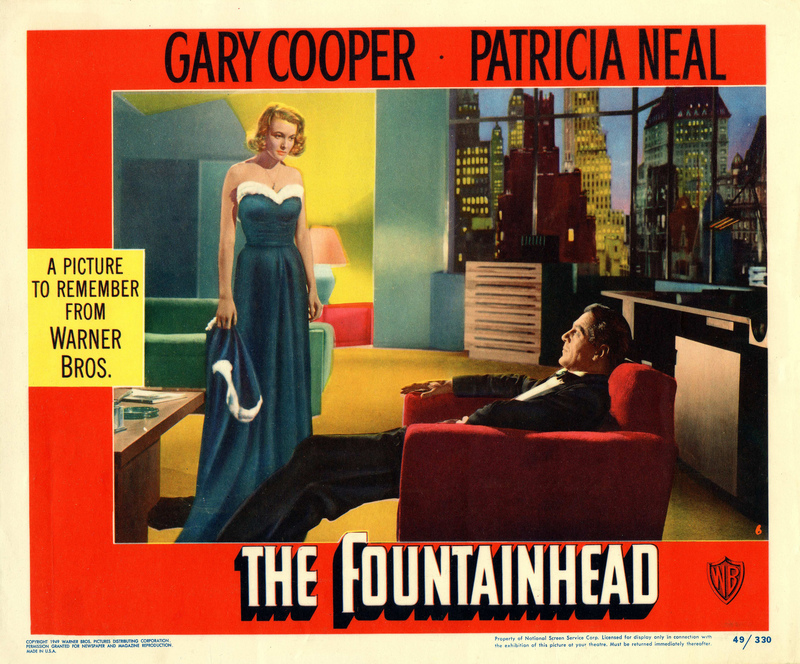 As a result of all of these elements working together, The Fountainhead holds the viewer’s attention well, with lots of drama, wonderful photography, and strong performances to match.